In this service we will promote any track - your own or your client's track. 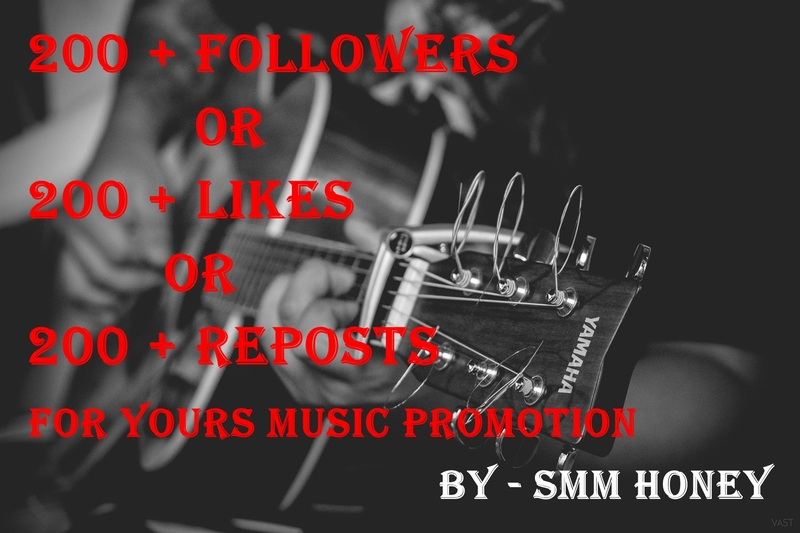 Do you need high quality promotion for your music? This is the right place for you to do it safely! Purchase this service to promote any track or profile you want, your own one or for another person/client. You only need to give us the link you want us to promote and leave the rest to us. This is the cheapest service ever for promotion on SEOClerks and it will help you boost your rankings, make you look good and have fans that you deserve. 200 + Followers or Likes or Reposts is ranked 5 out of 5. Based on 1095 user reviews.